Val Gardner is the Director of the Vermont School Leadership Project. Val has worked as a teacher and coach, as well as Associate Principal and Principal at Champlain Valley Union High School in Hinesburg, Vermont. CVU has been recognized at the state and national level for innovative programs. In 1993 – 1994, Val served as the first Principal in Residence in the U.S. Department of Education under Deputy Secretary Madeleine Kunin. Val earned a Bachelors of Science degree from the University of Vermont and a Masters from the University of Oregon. She currently serves on the Snelling Center for Government and the Vermont Youth Orchestra Board. In the past she served on the Vermont Economic Progress Council, St. Michael’s College Graduate Advisory Panel. The Snelling Center School Leadership Project Advisory Board, and as President of Vermont Headmasters. 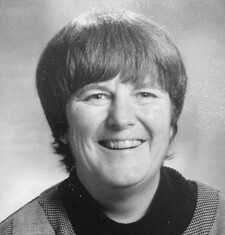 Val has been recognized in numerous awards, including the Robert F. Pierce Award for service to youth in Vermont (1984); National Distinguished Principal for Vermont (1990); and has been inducted into the UVM Hall of Fame.